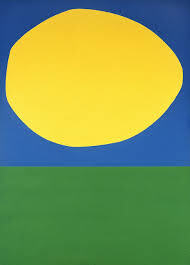 My artist of the day: Ellsworth Kelly, not a bad portion at 92. 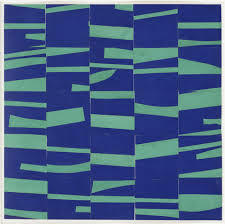 Here's more from SFMOMA, Ellsworth Kelly Explains Abstraction. Labels: abstraction, Ellsworth Kelly, what is abstraction? Carol Nissenson is my artist of the day: long-time friend, author, thinker, musician, activist, improvisationalist, the list goes on and on. And here's more about Carol. . ."Carol Nissenson is a professional actor/director. Her resume includes opera, recordings, commercials, stage and film work in both DC & NYC and national tours of Broadway shows. She currently performs with and directs Now This, a DC-based music and comedy improv troupe. They’ve performed in 23 states. Their audiences range from preschools to Fortune 500 execs." "Carol has been working with the ‘unwritten word’ for two decades, and storytelling is central to that work. She knows it will sound like a cliché, but she always wanted to write. It was the road not taken. But Carol did get to hang out with a lot of well known, and soon to be well known writers when she lived in NYC. Ironically, that may have discouraged her. She wanted to write light, fun, frivolous stuff and they wrote literature. A couple of years ago she said 'I’m just going to do this, damn it'. Now it is an obsession." ABOUT CAROL NISSENSON. And you can hire her troupe, NOW THIS. Beauty is Skin Deep, Joyce Owens, artist.